Search engine optimisation is one of Sleeping Giant Media’s core offerings. As SEO experts, we can help your website to be more visible to your existing and potential customers. Our approach to SEO isn’t about visitors for visitor’s sake, it’s generating relevant visitors to your site by investing time into understanding who they are, what questions they ask and aligning your site to be there when they ask. Before you jump to another website, do us a favour. Think of a question your customers or clients ask you all the time. Got one? Now Google it. Are you there? That’s where we can help. Everyone wants to be on the first page, but not everyone deserves to be there. Your business, brand and website have to earn that right. Google uses over 200 signals in their algorithm for scoring, and last year, there were over 540 quality improvements to their search algorithm alone. SEO is a fundamental part of any online marketing strategy. However, it is a long-term strategy, which requires a good deal of time and investment. But with that said, this time and investment is well worth the rewards of success. Achieving a high ranking within the natural listings will generate a significant amount of traffic to the site, with volume increases exponentially with position. We take SEO very seriously. Our account teams are responsible for the planning, delivery and reporting on your SEO success. Through utilising the area below they can come up with a thorougher SEO audit and strategy for your business. We will work with you to help you define and develop a comprehensive SEO strategy, and a realistic plan that works for you. Whether you are looking for increased online performance or brand visibility, our team are on hand to provide you with any guidance you may need to help your company reach GIANT heights. When it comes to online marketing, the demand for excellent SEO is incredibly important. But sometimes it can be hard to know where to start, or how to progress if you hit a wall. By analysing each of your pages in detail we can outline areas that can be further optimised or improved, and set you on the correct path to improving your online performance. Keyword research is a fantastic way to know your market and enhance your page rankings. By identifying high-quality keywords, using some of the most advanced programmes available, we are able to create easy to implement strategies that can have a big impact on your online profile. Everything from your page’s layout and content, to how user friendly it is in general, plays an impact on its SEO value. By breaking your page down into these elements, we are able to make sure your entire webpage is perfectly optimised and gets you to the top of search engines. The number one thing to do on a phone is use the web to search for a website or query. So you’ll want your website to get to the top of the search list, rank the highest, and to load your page quickly on the phone, should a user start to look for you. That’s where we can help. Want to boost your local online marketing? Using geographical ranking factors such as your address, telephone number or customer reviews we can make sure that customers in your area know all about your business and services. Link building is a digital handshake which can help boost your company’s SEO. Though it is one of the most commonly ignored aspects of digital marketing, building a database of high quality, reliable links is an often invaluable way of promoting business performance and helping your company stand out. Outreach can take many forms, but our team will work with you to create new opportunities that are relevant to your business. Due to the commonly misunderstood landscape of online marketing, pages can often be landed with bad link penalties, which can dramatically impair SEO. By using the latest tools for backlink analysis, we will search through your web page and identify and remove any links that may be holding your company back. Do you want to increase your online presence and propel your brand’s identity out onto the big world wide web? Then digital PR will be able to help you. When you use digital PR in conjunction with your SEO and digital marketing strategy, you’ll be pushing yourself and your business forward in the best possible way, through social media, good quality campaigns and great connections. We know migrating your website to your new site can seem like hard work, but we take that stress away from you. Whether you want to simply redesign your website or completely change sites, we make sure that every step of the way runs smoothly – and ensure all previous pages and value transfers across with as little disruption as possible. Content is king, which is why it’s so important to create interesting, relevant and original content for your readers and customers to see and share. Plus, unique, valuable, keyword-savvy content can help towards improving your rankings in the eyes of the search engine gods. Our great team of content specialists can help give your content marketing the boost it needs. We will track your site daily to see how well your website is doing and report back to you in detail on a monthly basis. 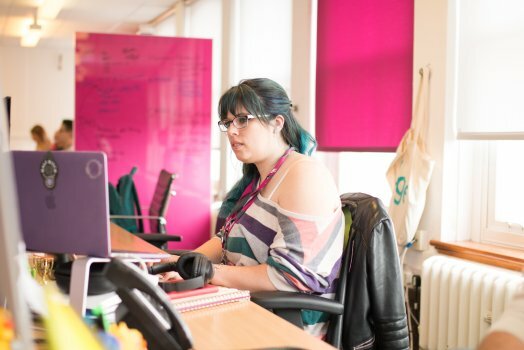 Our specialists will set out clear goals, along with your overall targets, so that we make sure achievements are accountable – and you can sit back and watch your digital business grow. Whether you have a rough idea of what SEO is, or if you haven’t a clue, we are here to help make things clearer for you. 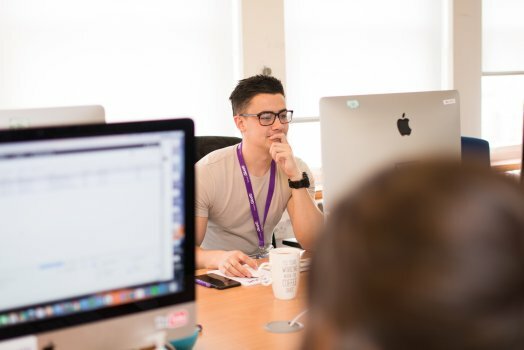 With our bespoke approach, we offer training courses to help you understand what exactly SEO is, and how it is beneficial to you and your business. Noticing website traffic from across the globe? Or want to target customers in another country? International SEO means that you can make sure your website suits your customers no matter where they are in the world. From research to geolocation and language changes, we can help you make your website appeal to an international audience. SEO Kent based digital marketing services that serve national and international clients. 60-minute links to central London via HighSpeed1. Quick access to M25. France is visible from our office.